Wound Motors, (Field and Armature are in series). These units are designed specifically for factory equipped golf cars. Customers demanded higher quality after-market replacement with a warranty instead of “REBUILT USED Controllers”. 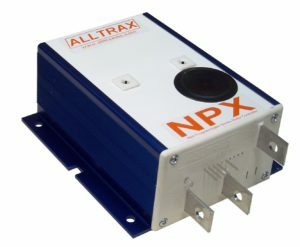 Alltrax stepped up and designed a NEW product with a NEW warranty, the NPX Non-Programmable controllers. A cost effective solution to replace your aging or damaged stock controller without buying a “rebuilt controller”. These units are designed for OEM (Original Equipment Manufacturers) stock replacement controllers for stock cars with stock motors only. With a peak current rating they are not designed for lifted or high performance vehicles. The design follows the motor manufacturers current and power. For a high performance controller application – Please order our AXE motor controllers. An example of the inputs and outputs are shown. Click on the image to enlarge. This diagram is also shown on the NPX Mini-Manual. NOTE: Not all controllers use the A2 terminal (used for plug braking). If not, bolt the two wires together, insulate with tape or heat shrink, then secure in safe location. 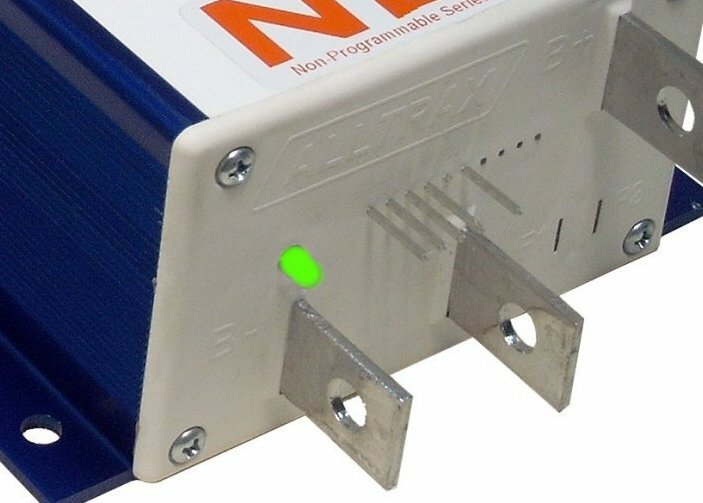 The NPX4834EZ & NPX4844EZ are set up for ITS throttle and have the 5 pin E-Z-GO connection for a true plug and play controller. The LED located on the front of the unit provides status of the units operation and used for troubleshooting. Solid Yellow: Controller throttle is wide open, controller is supplying max output, and is not in current limit. 1 Red = Throttle Position Sensor Over Range. Check for open wires. 3 Red = HPD. Throttle hasn’t gone to zero during this power on cycle.